Larry is the firm’s managing partner. 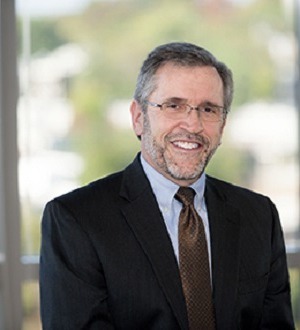 With more than thirty years’ experience representing both plaintiffs and defendants in the courts of the State of Delaware, he has focused most of his practice on handling employment matters on behalf of both management and individuals, allowing him the advantage of gaining insight on both perspectives of employment issues. A large percentage of his work involves representing physicians and medical practices in employment and commercial litigation. The prosecution and defense of lawsuits involving the enforcement of non-competition agreements and related unfair competition and trade secret disputes also comprise a good portion of his practice. In addition to litigation, Larry advises companies, physicians and executives with respect to issues arising from employment contracts and related agreements. Clients often utilize his services to negotiate employment contracts and to represent their interests when issues and problems arise either during an employment relationship or after it has ended. Larry also is often involved in other types of complex commercial litigation, including the defense of legal malpractice claims. Larry has held an AV Preeminent® rating from Martindale-Hubbell since 2012. He also has been recognized by The Best Lawyers in America® (2012 – 2019) and as Lawyer of the Year 2015, Employment Law – Individuals, Chambers USA, and as a Fellow by the Litigation Counsel of America.